Climate change means an overall increase in average global temperature. But due to rising sea levels, air humidity changes, and other factors, the changes also include both high and low temperature swings in various regions. Together with air quality, the changes have been a source of concern, not only in connection with potential flooding of low cities and survival of various plant and animal species, but also when it comes to human health. Regarding pregnancy and babies in particular, researchers from the Eunice Kennedy Shriver National Institute of Child Health and Human Development (NICHD) have found that atmospheric conditions, including temperature, may have a small, but measurable, negative effect on the size and weight of newborns. The NICHD findings were published recently in the journal Environmental Research, but before we delve into this we should note that there is a big difference between climate and weather. Whereas weather refers to the atmospheric conditions that a region is experiencing in any given moment, climate is a long-term environmental trend that sets a range of weather patterns that can occur throughout the year. The weather changes easily between today and tomorrow, whereas the climate changes when you travel to another region, or when you await the passage of time. Thus, while the average temperature is rising gradually, temperature is rising particularly in polar regions of the planet. This is causing ice to melt, raising the sea level. In some locations, this means more precipitation, both rain and snow. The new NICDH paper is one of several studies that have come out in recent years, showing an influence of atmospheric change (including temperature and air pollutants) on fetal and newborn health. 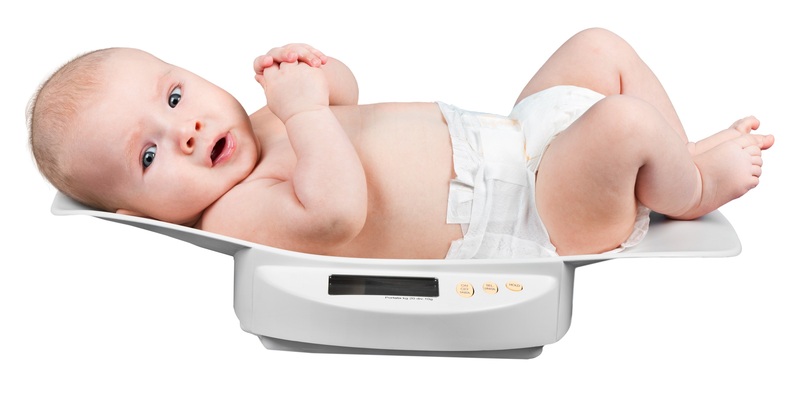 Can weather affect your baby’s weight? The NICHD researchers looked at effects of both environmental temperature –both hot and cold weather extremes—and also air quality, meaning pollutants in the air, such as elemental carbon, and particulate matter, such as dust or soot. They examined these factors over the three trimesters of pregnancy, in connection with two outcomes: the rate of term low birth rate (tLBW) and the rate of small for gestational age (SGA). tLBW and SGA are related, as both refer to a newborn being less massive than it should. Specifically, though, tLBW, means that a newborn is underweight at term (<38-40 weeks gestation), whereas SGA means that a newborn is underweight and small, even taking the gestational weight into account. Both tLBW and SGA are risk factors for health conditions. How was the Research Done and What was Found? The study was retrospective, meaning that researchers depended on medical records, rather than new information. Retrospective studies are not as dramatic as prospective studies, but often they have the advantage of including large numbers of patients, which can help improve the statistical power. In this case, the researchers looked at records of 220,572 single births from the years 2002-2008) in 12 different cities within the United States. Those birth data were compared with various weather data in those locations. So what did the researchers find? In a nutshell, they found an association between temperature extremes, very hot and very cold weather, with tLBW. In other words, infants born at term, could have a slightly low birth weight, due to a very cold winter (in trimesters 2 and 3), or a very hot summer (in trimester 3). As for SGA, they found no clear association with weather extremes, but they did find a possible association between SGA and elemental carbon and dust particles in the air. Air pollution finding is a particular concern in connection with pregnancy, because earlier studies have also revealed some problems. A study published in 2014 for example, revealed an association between air pollutants and spontaneous abortion in Mongolia. This is on top of various other studies, suggesting that air pollution is a factor in several other complications of pregnancy, including preterm birth, preeclampsia, and congenital malformations. On low quality websites, you may find bloggers over-interpreting the study results to justify outlandish recommendations, such as that you should avoid air conditioning in the summer. But, there is no logic to such a recommendation, because the study did not find air conditioning increases the risk of either tLBW or SGA. But recall that they found a connection between very hot weather and tLBW and also between air pollution and SGA. Take a guess at the best way to avoid both summer heat and air pollution. You guessed it, staying inside in an air conditioned home. Air conditioning filters the air, so, if anything, it probably does more good than harm. If you are pregnant in Phoenix Arizona during the summer, or Fairbanks Alaska during the winter, or if you live in a polluted city, you should minimize your time outdoors. Stay inside when the pollution is particularly heavy, during the hottest part of the summer day, and in the dead of winter.